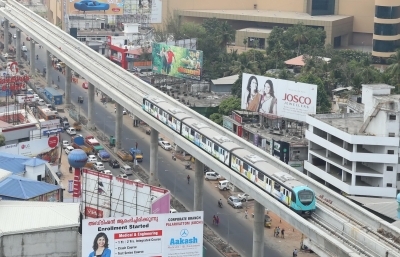 Kochi, July 19 (IANS) The Kochi Metro has in its first month of operation earned a total revenue of Rs 4.62 crore, an official said. Prime Minister Narendra Modi dedicated the Kochi Metro to the nation on June 17. The Kochi Metro in a statement issued here on Wednesday said on an average, 47,646 persons travelled on the Metro daily, with the numbers varying from 20,000 to 98,000. “While completing a month of operation, the Kochi Metro Rail Corporation (KMRL) is happy about the cooperation and patronage shown by the passengers. People generally were careful about keeping the premises clean,” said an official. The Kochi Metro presently connects 11 stations on the 13 km Aluva-Palarivattom and this will be extended by five km in two years. Work on the Kochi Metro began in 2012 after the former Oommen Chandy government entrusted the project to ‘Metro Man’ E. Sreedharan.